Advances in medicine are increasingly being made at the interface between cell and molecular biology and the clinical sciences. A new Master’s program at LMU, entitled “Human Biology – Principles in Health and Disease”, which is scheduled to begin in 2018, will focus on this nexus between basic biology, clinical medicine and healthcare. “This new course fills an important gap in our curriculum,” explains Professor Thomas Gudermann. “In parallel to the classical subjects, Biology or Medicine, it is intended to serve as an interdisciplinary Master’s program for students who are interested in both medical and biological issues.” “Its aim is to provide a solid grounding in the fundamental principles and the current state of biological research, and to combine this with an understanding of their relevance to medicine and health,” adds Professor Heinrich Leonhardt of the LMU Biocenter, who designed the new course in collaboration with Professor Gudermann. 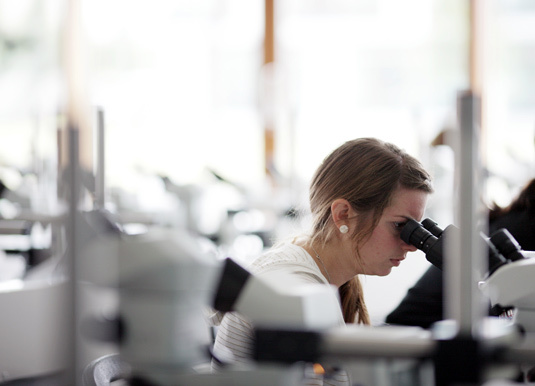 The Master’s course in Human Biology will therefore treat the biological and medical aspects of its subject matter on an equal footing – both with regard to its content and the composition of the teaching staff involved. “Human Biology – Principles in Health and Disease” is intended to help mitigate this lack. With a planned intake of 20 to 30 students, it will be one of the smaller-scale courses of its type at LMU. Participants will also benefit from intensive mentoring by senior students and academic tutors. The course will also emphasize the importance of practical skills, as the job opportunities in this interdisciplinary field are highly diverse. Graduates can not only look forward to an academic career, but will also be well equipped for positions in pharmaceutical firms, in biotechnology or in drug research. “Our aims go beyond simply imparting knowledge. We hope to discover and nurture talented young researchers, and make the best use of the network of universities and other research institutions in and around Munich,” says Gudermann. The Master’s program “Human Biology - Principles in Health and Disease at LMU is financially supported by the Elitenetzwerk Bayern.